My younger sister gave birth to twins late last year. Six months to her delivery date, we went to town to shop for a double stroller. Compared to the times I bought a single stroller for my first child and then for my second child, getting a decent double stroller in-store was much harder. In fact, it was so difficult that we ended up giving up after a couple of hours and went back to my place to restart the search online. It was so difficult because there are not that many strong, safe, and well-equipped double strollers available on the market. Moreover, of the few strong and safe double strollers that are available on the market, quite a number of them are heavy and bulky. Since most of us moms get strollers not only to stroll in the park but also to run errands, we tend to prefer strollers that are not only functional but also lighter and easy to operate. Today, I will show you such strollers. I will show you double/ twin strollers that me and my sister found to be stylish, versatile, safe, lightweight, and very easy to use after hours of online research. In short, by the time you are done reading this post, you will definitely have found a double buggy that checks all your boxes. Below are the best twin strollers for 2019. My sister ended up buying one of these (I will tell you which one). Even though she bought only one, I would recommend any of the other 8 on the list. This is because all of the double stroller models on this list are highly-rated by many parents. I have only included premium, convenient, highly-rated, full-featured, and safe double strollers on this list. These double buggies are the crème de la crème. You won’t find any other double strollers better than these. My review in summary: Amazing quality double stroller that you can use for a long time. This is a superb twin stroller with a side-by-side seating arrangement. Although a bit more expensive than other double strollers in its class, it comes with more exciting features that justify its higher price point. As I have mentioned, the stroller comes with two side-by-side seats. You can start putting your twins in the seat when they get old enough to support their heads ups (about four to six months). You can start carrying your babies in the seats from such a young age to until they are three to four years. This is because each seat has a maximum weight capacity of 50 pounds. Each seat can also independently recline to multiple positions. The most reclined position is the near-horizontal position. This position is perfect for napping while on the go. So if one of your babies is sleepy, you can just recline his or her seat and create a nice sleeping pod for them to sleep. The seats have got vented tops that enable maximum air flow. These ensure that your babies don’t get overheated when strolling outside during summer. In case it gets a bit windy or cold, you can close the vents using their retractable covers to protect your babies more. Both seats are generously padded for comfort. Their footrests are also generously padded for comfort. However, there are not adjustable. So although comfortable for your babies, you cannot adjust them any further to make them any more comfortable. I love the “wall” between the seats. They prevent “conflict” between the babies. This feature especially nice if one of your babies loves sleeping, while the other loves disturbing or waking him or her during their nap. This wall prevents such occurrences. Each seat comes with a canopy. The canopies are paneled, look lovely, and can be extended over the seats for added protection against the wind and the sun. When extended, you can still keep an eye on your little passengers through the closeable see-through window on each. This twin stroller comes with rubber wheels. The wheels are about 8.5 inches in diameter and they can handle pretty much all terrains. In addition to the rubberized wheels, this Baby Jogger double stroller features a creative and functional suspension system. The system acts as a shock absorber and socks up shocks and bumps during rides on uneven terrains. This makes this stroller more comfortable for babies to ride on than other strollers without suspension systems. What is even more amazing about this stroller is the fact that it can be turned into an infant travel system for one baby. So if you’ve got a new baby and a toddler, you can get a compatible infant car seat to turn one side of this stroller into a travel system. Of course, you can also use this twin stroller to carry twins when they turn four or five months and can support their heads unassisted. You can also use it to carry toddlers. There is a giant storage bag underneath the seats. Although it is big enough to carry plenty of stuff, it is not easily accessible because the design of the stroller is such that there is a big metal bar straight through the middle of its entrance. Nevertheless, you can definitely use it to carry a lot of stuff. Besides the giant storage bag, this stroller also comes with other storage areas behind each seat. You can carry your car keys, your phone, your iPod, your water bottle, and other essentials in these smaller storage pockets. One of the most amazing things about this Baby Jogger twin stroller is that fact that its handlebar is adjustable. This means that parents of different heights can adjust it to the height they are comfortable with. Thus, it is very easy and convenient for tall, short, and average height people to push and maneuver. Folding this stroller is also extremely easy courtesy of its unique patented folding technology. The technology allows users to fold it with one hand, which is impressive considering that this is a big double stroller. When folded, it automatically locks itself in the folded position. This makes it easy to carry around and to transport. However, although it is easy to fold and carry around, this twin stroller still takes as much space as you would expect from a double stroller. Nevertheless, it still does fit easily in standard car trunks. The City Mini GT twin stroller weighs 32.6 pounds and is available in multiple color options. The price varies for different color schemes. As mentioned earlier, this stroller is pricey. So you should definitely check out different sellers online to find the one who is offering the highest discount. I checked out the reviews left for this twin stroller on Amazon.com to discover the experiences of other parents who have purchased it. Most parents are in love with it, while a few were critical. Discover the opinions in the pros and cons below. Even though this stroller has got rubber tires and a working suspension system, it is not built for use on very rough grounds. Therefore, if you are looking for something that can handle rough terrain, I can tell you for sure that this is not it. Because you can use it to carry twins and to carry an infant and a toddler. My review in summary: Chic and stylish twin stroller perfect for strolling on all terrains. Have you seen strollers like this one before? Probably not. This is the most stylish double stroller in my list. It is also one of the most versatile and functional strollers I have ever seen or used. In my opinion, it is worth every single dollar in its price tag. The most unique thing about this stroller is the fact that it can accommodate two infant car seats at a go. Not many other double strollers can accommodate two infant car seats at the same time. Some of the popular infant car seats it can accommodate include Cybex Aton, Nuna Pipa, and Maxi Cosi. You can carry your twins in this and you can also carry a younger child and an older one in this stroller. Carrying different weight kids is possible with this Bumbleride stroller because it has got excellent weight distribution. The regular seats on this stroller can deeply recline. You can recline them to make them comfortable for your babies to rest or sleep. Both seats also have calf rests. The calf rests are individually adjustable for comfort. This is said to be one of the few double strollers that are infant-ready. This is because the seats can be reclined to the flat position and the calf rests raised all the way up to create a secure sleeping pod that is infant-ready. In brief, you can use this stroller from day one. No need to struggle carrying your twins in your arms when their dad is away at work or running errands. Each seat has a maximum weight capacity of 45 pounds. From experience, I can confirm to you that this means this stroller can serve you for about three to four years. Both seats are generously padded and plushy. They are extremely comfortable for infants and for toddlers. I will not have done justice to Bumbleride if I do not mention how good this model’s canopies are. They are fantastically oversized and they extend all the way down to the knees. When you fully extend them, your babies will be fully protected from the sun and the wind. They can nap until forever if they want for nothing will disturb them under the protective cover of these canopies. Behind each canopy, there is a mesh see-through window. These windows allow you to monitor your babies closely. They also ensure maximum airflow to prevent overheating or shortness breath. In case it gets cold or windy, the windows can be closed using a magnetic closure, which does not make any noise compared to Velcro closures found in most strollers. In terms of wheels, this double stroller has got them. It is fitted with big, pneumatic tires that can handle all kinds of terrain. This Bumbleride stroller also has a suspension system that together with the wheels cushions the ride and enables you to go for a stroll on any kind of terrain you want. I mean it, you can go over grass, beach sand, gravel, unbeaten paths, sidewalks, cobblestone, and you will love how smoothly this stroller will move over such surfaces. The front wheels on this stroller swivel. However, you can lock them to get better control. One of the things I love the most about the Bumbleride Indie Twin Double Stroller is its storage basket. It is big enough to easily accommodate a large diaper bag. It is also very easy to access; there is no metal bar in the middle of its entrance to prevent or complicate access as is the case with most twin strollers. In addition to the storage bag, this Bumbleride stroller comes with mesh pockets behind and inside each seat where you can store your essentials and some toys and snacks for your kids. This model is also very easy to fold. You simply need to lift its folding triggers and collapse it forward. Being a double stroller it remains a bit big even when folded. Nevertheless, on a more positive note, the stroller can stand by itself when folded and auto-locks in the folded position. These are features that I am sure you will appreciate when storing or transporting this double stroller. This stroller is quite pricey and was only recently introduced on the market. Therefore, it does not have very many reviews on online stores like Amazon. Nevertheless, there are a couple of generally positive reviews on the manufacturer’s website. I have summarized them below as pros and cons. This Bumbleride Indie double stroller does not include accessories. So if you want a standing board, infant seat adapters, a cup holder, a rain cover, or an organizer, you will have to buy them separately. The only accessory included is the tire pump, which is not really an accessory. Because it is truly versatile and can handle all terrains. It is what you get if you want an urban stroller that is also perfect for off-road strolling. With infant car seats, you can turn it into a travel system and start using from day one. My review in summary: Superior quality machine sold at a fair price. Wanting to buy a superior quality double stroller that will serve you and your twins for long? Well, this stroller is exactly what you should get. The reasons are that it is one of the best 2019 double strollers, it is full-featured, it is durable, and it is extremely versatile. The front wheels of the Baby Jogger City Mini Double Stroller have a dual design. This guarantees stability. The front wheels can also be locked for better control. In short, what am trying to say is that this stroller is extremely easy to control because it is designed that way. In addition to the cool wheel design, this stroller comes with a fantastic suspension system that makes it less bumpy and more comfortable especially over uneven terrain. The seats of this Baby Jogger stroller are well-padded for comfort and can be separately reclined for even more comfort. Additionally, the seats are vented at the top to guarantee maximum airflow during summer days. This will prevent your babies from overheating. On cold or windy days the vents can be closed to ensure warmth and comfort. Each seat has a maximum capacity of 50 pounds. The seats are also very roomy and have long backrests. What this means is that you can use this stroller to carry your twins from when they are infants until late toddlerhood. Not many twin strollers have calf rests or footrests. This one has both and both are adjustable. This is just one more reason why it is one of the best double strollers in 2019. I think one of the most convenient features in this stroller is the simple divider between the seats. It prevents conflicts so superbly. It is mindboggling how more strollers do not have this simple yet effective feature. On top of every seat, there is an extendable canopy. The canopies are oversized and provide more than adequate shade especially when extended. When you have covered up your kids using the canopies, you can still keep a close eye on them using the peekaboo windows on the back of the canopies. Unfortunately, this stroller does not come with an adjustable handlebar. So its handlebar cannot be adjusted to make it easier for different height parents to use it. Nevertheless, the handlebar is not that bad. It features rubberized rings for a better grip, unlike other strollers that usually have foam which often rips quickly. Moreover, the handlebar is designed in such a manner that it enables parents to push this stroller with one hand, which is quite nice and convenient. Some users said that they did not feel any weight even when pushing their 3-year-old twins with one hand. The other features that will impress you about this stroller include its massive storage space beneath the seats. The space can accommodate any-size diaper bag. Nevertheless, the storage space has got a metal bar running through the middle of its entrance. This means it is not the most accessible storage space out there. Luckily, this stroller comes with two extra storage spaces behind each seat. You can carry your bottle of water, your keys, your wallet, your phone, or snacks for your twins in these pockets. One of the things that people fear the most about double strollers is their size. However, this one is easy to fold and store. You can quickly fold this stroller into a very small unit that will definitely fit into your car trunk. Many parents also think that most double strollers cannot get past regular doorways. But this is no longer the case. Modern double strollers like this one are just about as wide as single strollers and, therefore, easily get through doorways without any problems. This Baby Jogger stroller weighs just 28.6 pounds. It is, therefore, relatively light. You will not find it difficult to lift it into your car trunk. I reviewed reviews left on this double stroller’s Amazon page by verified purchasers. I have to admit, I was really impressed by the many positive comments that most reviewers left in their reviews. Of course, there were also other users who were critical of a couple of things. I have summarized the comments as pros and cons. This Baby Jogger double buggy model has got some serious wheels that can handle uneven ground. However, the wheels are not all-terrain; they are only 8 inches in diameter and, therefore, not big enough. Hence, you should note that you are not going to be going off-road with this stroller. Because it has roomy seats that you can use to carry your babies until they get to preschool. Because it is lightweight and compact and therefore easy to turn, to push, to lift into the car trunk, and to assemble. Because it is one of the best double buggies in terms of quality and functionality. My review in summary: Inexpensive stroller that is perfect for day trips and long strolls. I love long day trips, especially on weekends. If I had to choose only one stroller for such trips with my sister’s twins, I would choose this one. From my research, I have come to the conclusion that this is perhaps the most highly-rated side-by-side double stroller. I say this because it has so many positive reviews on many platforms and it almost always gets sold out every few weeks. The Joovy Scooter X2 twin stroller is a low price point buggy that is full-featured and well-made. It comes with two main seats. You can start carrying your twins in it when they turn 4 months (or develop full neck support). From that very young age, you can continue using this until they turn three-years-old. So it will definitely give you total value for money. You can recline both seats individually. You can also recline both footrests individually. As for the seats, you can recline them to a very deep position. In fact, they both go to a near-horizontal position that is great and comfortable for catching Zs while on the go. Each seat has a bumper bar that can be easily removed or fixed back. What you may not like about this stroller is that it has only one canopy for both seats. I really do not like this design. Why? Imagine if one baby wants to sleep and the other wants to take in the surroundings? You won’t know what to do because extending the canopy down will create an enclosed sleeping pod for one baby but will block the other one’s view. What you may also not like about this stroller is that its pushbar is not extendable. It is fixed about 42 inches from the floor. Many tall parents who have used this stroller wish the handlebar was extendable. However, average-height parents think it is okay. The wheel system on this stroller is innovatively made to ensure stability and maneuverability. The front wheels have a dual front wheel design for stability. The rear wheels are also bigger than the front ones for stability. The easy maneuverability comes from the fact that the front wheels can be unlocked and left to swivel. Nevertheless, if you don’t like the swiveling, you can lock the wheels for even better control. The wheels are made of tough but shock-absorbing rubber. This means they can handle most urban terrains including pavements, cobbled streets, gravel, and so on. This makes this stroller one of the best double city strollers. However, since the wheels are not big or inflated, they cannot handle rough terrain. It also means that you should not use this stroller for jogging. Unlike other double strollers out there, this one comes with a parking brake. I love the storage basket on this Joovy Scooter X2 stroller. It is big enough to carry everything you need to care for your babies throughout the day. Besides the large storage basket, this stroller comes with other accessories including small zippered pockets behind the seats for keeping your valuables and two cup holders. You will not have to spend money to get these extra accessories. Despite being a side-by-side double stroller, the Joovy Scooter is not extremely wide. It is just slightly bigger than the average standard stroller. So you will not need to worry about getting this stroller through normal doorways. Lastly, this stroller weighs 32 pounds, so it is quite heavy. Some moms and dads may find it difficult to lift it into the trunks of their cars. To make sure that what I am buying is the real deal, I always check the testimonials of other users. Upon checking those of this Joovy Scooter double stroller, I was even more impressed by it. There are over 500 testimonials and the majority of them are positive. Below are the testimonials summarized as pros and cons. You should consider that this stroller is not an all-terrain stroller despite the fact that it can handle most city terrains. Therefore, it is not something you are going to be taking off-road or on difficult terrain as it will not only be difficult to push on such terrain but also uncomfortable for your babies. Because it is a fantastic stroller for day trips, running errands, shopping, and for daily use. Because it is sold at a very affordable price. Because it is full-featured, convenient, and very luxurious. My review in summary: A complete but expensive double stroller. Definitely worth the money. In my view, this is one of the leading tandem double strollers available on the market right now. Even though it is quite expensive, it is extremely popular among moms and dads of twins and children who are of nearly the same age. One of the coolest things about this Baby Jogger City Select Double stroller is the fact that it is a convertible stroller. This means that it can be used as a single stroller and as a twin stroller. Furthermore, you can purchase it with just one seat as a single stroller and later expand it by adding the second one when need be. You can set this double stroller up in a myriad of ways. In total, there are sixteen different seating arrangements you can choose from depending on what you need or what you are aiming for. For example, if you want your twins to play with one another, you can set up a seating arrangement to have them facing each other. This will be very fun for them especially when they get to seven or eight months. This awesome double stroller has got a couple of brilliant features. First off, its main seats are high weight capacity seats. They can safely carry your twins from six months to 36 months. They can also recline to four different positions. One of the positions is the near-horizontal position that is perfect for napping. Each seat has also got a footrest. The footrest is adjustable and it definitely makes this double stroller more comfortable to use. The canopies on this baby jogger stroller are extendable. This means they can be adjusted to provide more shade and protection for your babies. They can also be adjusted upwards to make the stroller roomier for taller kids. Each canopy comes with a see-through window that allows you to closely monitor your little passengers. The windows can be closed using a noise-free magnetic closure. Both canopies are made of a fabric that provides UV50+ protection. This is definitely a big plus. You will definitely love the pushbar on this Baby Jogger Stroller. This is because it is adjustable, which means you will be able to adjust to find the height that is more comfortable for you. Thus, if you are tall, you won’t have to lean too much forward to push it, and if you are short, you won’t have to hold the handlebar in a funny way to maneuver it. The stroller comes with a parking brake. Unlike other similar brakes that are foot operated, this one is hand operated making it easier to use. The front wheels on the Baby Jogger City Select stroller can be left to swivel for easy steering or can be locked for stability. The wheels are 8” across. The back wheels are 12” across. All the wheels are made of thick rubber that soaks up pressure even on tough terrain. They are not pneumatic. The fact that these tires are rubberized and non-pneumatic means you don’t have to pump them every now and then or to worry about fixing a puncture in the middle of town. Nevertheless, the fact that the tires are not inflated means that this twin stroller is only best for city surfaces and not for bumpy or challenging terrains. Despite the big size of this stroller, you will be surprised by how neatly it folds; it will not take too much space in your car trunk. Lastly, this Baby Jogger stroller comes in different colors. The differently colored models have different prices. Therefore, before buying whatever color you like, make sure you compare all the prices to make sure the price is worth it. This double stroller is quite expensive so I had to confirm whether it is worth buying from the reviews left by verified purchasers on its Amazon page. From what I gathered, it definitely is. It is worth every penny you will spend on it if you decide to get it. Below are the reviews in terms of brief pros and cons. This stroller is big and bulky like other convertible baby carriages. Only buy it if you are willing to cope with its 38-pound weight (with both seats attached). Moreover, the passengers are very close in this stroller. So you should only get it if you are willing to play referee. Because it has a giant storage bag that is easily accessible. Because two infant car seats can be attached to it at the same time. This makes it the only infant-ready car double stroller of its kind. This is one of the latest double strollers and it is already making waves on the market! It has all the features you would expect from a double stroller, it weighs just twenty-one pounds, and it is available at a very fair price. You can start using this double stroller from around 5 months (when your twins have developed full neck control). The beauty of this stroller is that you can use it for a long time since it has a high weight capacity of 40 lbs. per seat. Each seat can separately be reclined deeply. The seats do not go all the way down when reclined but their most reclined position is not that bad for napping. The footrest at the bottom of each seat can be adjusted to make it more comfortable during nap time or when you guys are on the go. This double stroller is not compatible with any bassinet or infant car seat. This coupled by the fact that its seats do not recline to the horizontal position means that it is not perfect for infant twins. Nevertheless, it is a great double stroller to use from the sixth month onwards. I would recommend this J is for Jeep Brand twin stroller to any mother or father looking for a premium stroller at a fair price. This is because it is premium in so many ways. For instance, both its seats are generously padded and feel very comfortable. Although the harnesses are not padded, they are thick and sturdy. They make this stroller safer to use. Nevertheless, the fact that the harnesses not padded is something you should have in mind before making your purchase decision. This double stroller comes with two separate canopies. Both canopies are made of a waterproof material that is rated SPF 50+. This means that the canopies are designed to protect your baby from visible sun rays and harmful but invisible UV rays. However, even though the canopies are made of a special fabric, they are not as oversized. So the shade they provide is not as much as that provided by the Baby Jogger or the Bumbleride double strollers I reviewed earlier. However, each canopy has a see-through window with a Velcro closure. You can use the windows to monitor your twins throughout your trip to the mall, the park, or wherever else you regularly go to. Now that we have seen the seats and their complementary structures and features, let me tell you something about the tires. First off, they are not inflatable. So this means that this is not an all-terrain stroller. However, they have an interesting design that ensures stability and easy steering. The design includes two front dual wheels. This plus the bigger back wheels account for the stability. And then, the fact that the front wheels can swivel (when unlocked) accounts for the easy steering. The wheels are connected to a suspension system that soaks in shocks and cushions the ride. Between the wheels and the seats of this twin stroller, there is a large storage bag. The bag is big and can carry plenty of stuff. Nevertheless, as many people have come to expect from double strollers, there is a metal bar that goes straight through the middle of the entrance to this bag. This makes it slightly difficult to access this bag or to use it to carry a large diaper bag. I have seen this stroller firsthand. The first time I saw it, one of my friends was folding it to put it in her car trunk. It folded very easily. In fact, it folded easier than I had ever seen any other stroller do. After folding it locked itself automatically. Besides the folding, the fact that this stroller is ultralight also makes it easy to carry and put it in the trunk. My friend is very petite and she did it seamlessly. If she did it, then I believe that anyone else with a car can fold this and put it in their car trunk. Despite all the positive features and functions I have mentioned, this stroller does not have a couple of important things. For example, its pushbar is not adjustable, its seats do not recline to the horizontal position, and it is not compatible with any infant car seat. Nevertheless, I believe that its price and its features far outweigh these disadvantages. This double stroller model is highly-rated on Amazon. Below are its advantages and disadvantages according to reviewers on Amazon. This baby carriage cannot be used from day one. This is because its seats do not recline deep enough and it is not compatible with any newborn car seat. Therefore, if you are looking for a newborn-ready double stroller, you should know that this is not it. Because it is a piece of cake to push and navigate. You probably won’t find another double stroller that rides as smoothly as this one. Because it is one of the most inexpensive strollers available on the market. Because it is very light. In fact, it is lighter than averagely sized strollers. The lightweightness makes it easy to carry upstairs or to lift into a car trunk. My review in summary: Very cheap but functional double stroller. This is one of the best-rated double strollers for 2019! Many guys who have used this stroller claim that it is one of the best for carrying kids who are of different ages/ weights. The Joovy Caboose ultra-light double stroller is inexpensive but pretty functional. And it is not just functional, it is also quite attractive and comes in five different colors all sold at the same price. This is definitely not an expensive double stroller. In fact, I think it is one of the double strollers that should be on your mind especially if you are on a budget. Why is this one of the best double strollers in 2019? Three reasons: it is ultralight, it is easy to operate, and it is very versatile. What made me consider this stroller in the first place is the fact that it can be used from day one as a travel system. This is because it is built with a universal car seat adapter, which means you can attach almost any car seat from any major brand. However, you can only attach one infant car seat at a time. Not two. This means that you may not be able to use this stroller from day one if you are buying it for twins. As mentioned earlier, it is best known for carrying kids of different weights. This double stroller is a tandem stroller. It has got a front seat and a back seat. You can start putting your baby in the front seat from when your baby is old enough to support their head unassisted until when he or she passes the 45-pound weight mark. You can also recline this seat to multiple positions, one-handedly. Even though this seat will not recline deeply for napping, it does recline just enough to make it comfortable enough for the baby to rest peacefully. I must mention that this back seat comes with an adjustable footrest. You can adjust it anytime to improve your baby’s comfort. As for the back seat, it is generally a bench. You can start putting your baby in it at six months until he or she passes the 45-pound weight mark. The seat comes with a harness to secure your baby in place. If you feel like you want a standard seat instead of the bench, you can buy one that looks exactly like the aforementioned front seat. You can buy it from Joovy. It does not cost a lot of money. I would not really change the back seat since it is really creatively designed. It can slide back and forth and I really love this about it. The seat also comes with a footrest that can alternatively be used as a standing platform. Your older kid can ride on the platform to enjoy himself or herself as you take him or her and your infant baby out for a stroll. The front seat on this Joovy stroller is covered by a canopy. The canopy is extendable but not that much. It will protect your kid but will not offer full cover. All the tires of this stroller are made of rubber. The carriage is also fitted with a suspension system. The combination of the soft rubber tires and the suspension system makes this twin stroller ultra-comfortable. However, considering that the tires are not very big or inflated, you should avoid taking this stroller over uneven paths or grounds as it is not built to handle such terrains. This is one of the lightest strollers. It weighs approximately 21 pounds and it is even lighter than some single strollers. Its lightness makes it easy to carry it anywhere you want to. However, although it is lightweight, it still takes up plenty of space even when folded. If you have a small car you will probably find it difficult to fit it in your trunk. Moreover, folding it takes a bit of practice to get used to and it requires two hands and a bit of effort. To me, this is the stroller’s biggest drawback. Moreover, even when folded, it does not automatically lock itself. It also cannot stand on its own. Many reviewers love this twin stroller. In fact, it is among the best-selling strollers of its kind on Amazon. Here are what most of them agree to be its pros and cons. Although it is a sturdy stroller that is highly rated, it has soft rubber tires (non-inflatable) and it is, therefore, only good enough for urban rides and strolling through paved parks. Because it comes with a standing platform that will enable your older kids to have fun on it. Because it is a very lightweight twin stroller. It is very easy to fold and lift into the car trunk. Because it features a slim build and can, therefore, easily fit through regular doorways. My review in summary: Quite a user-friendly stroller sold at a pocket-friendly price. This is a fantastic tandem double stroller that is sold at a fair price. It has multiple exciting seating combinations for twins and for children of different ages. The Chicco Cortina Together stroller comes with two main seats. The seats are appropriate for kids who can sit and hold up their heads unassisted (about 4 to 5-month-old babies). And your babies can use this double stroller from such a young age until they turn two or three years old and get to 40 pounds each (the maximum weight limit). This stroller is compatible with KeyFit newborn car seats. Both the KeyFit and the KeyFit 30 car seats can be attached to it. 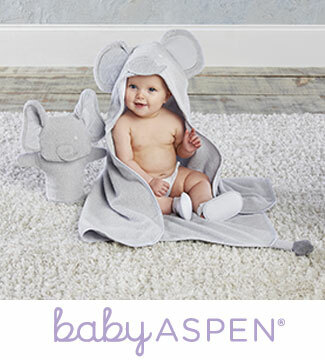 This makes it newborn-ready. The stroller is also balanced enough that it can be used to carry an infant in one car seat and an older sibling in another seat despite differences in weight. The best thing about Chicco Cortina’s Together stroller main seats is that they can be independently reclined to a horizontal position for comfortable napping. When the seats are put in the seating position, they remain comfortable and perfect for curious kids to seat everything around. The two seats on this double stroller are both generously padded. They also have generously padded harnesses. The only thing that I was not impressed about with this stroller is the size of its canopies. The canopies on short. They do not provide adequate protection against the wind and the sun in my view. However, they can be removed to comfortably accommodate taller and older kids on the seats. However, whatever this Chicco twin stroller lacked for it terms of the size of its canopies, it made up for it in a big way in terms of its numerous accessories. Some of the accessories that impressed me include an enclosed storage area, two beverage holders for the parent, two beverage holders for the children, a parent tray, and a standing platform for your older kid(s) to ride on when you are going for a stroll. I have talked about this stroller’s enclosed storage basket but I haven’t told you about the size of it. It is a very big storage basket. In fact, it is so big that you can pack in it everything you need for a day trip with your twins. The basket can also be easily accessed even when the backseat is deeply reclined. So you do not have to worry about accessibility as you would have done if this was any other tandem double stroller. The extendable pushbar on this stroller is a feature of convenience. It can be extended to three different heights making it good enough for use by parents of all heights. Other similar strollers often do not have this feature. This baby carriage has got some of the biggest wheels you will see on a double stroller. Its rear wheels are slightly bigger than its dual front wheels. All the wheels are made of rubber. So you do not have to carry a tire pump around or to worry about fixing a puncture in the middle of town since the ties are non-inflatable. The front wheels of this stroller swivel and make it easy to turn tight corners. However, you can also lock them to get more stability, especially when moving at pace. Although this stroller is not an all-terrain stroller, it has got a functional suspension system for soaking up bumps and shocks when you are moving on slightly uneven terrain. The system will make sure that your babies won’t feel a thing inside the stroller. Most rides will be very comfortable for them. This Chicco Cortina Together double stroller can easily be folded one-handedly. And even when folded, it folds in such a way that you can still stand it on its one. However, it is quite heavy and difficult to carry around at 34 pounds. Nevertheless, you do not need to carry it around. You can simply put it like a suitcase when you fold it. This is very convenient and definitely a plus! This double stroller is extremely popular on Amazon. It has dozens of positive ratings and reviews. Below are the main pros and cons I have gathered from the reviews. This stroller is designed to handle flat/ even terrains. It does not do very well on rough terrain and is, therefore, only appropriate for city dwellers. You should have this in mind when making your purchase decision. Because it is full-featured (generously padded seats, parent tray, parent cup holder, child cup holders, and an extendable handlebar) and it is still sold at an affordable price. Because it has multiple seating positions and can be used from day one until preschool. Because its storage basket is very easily accessible. My review in summary: Very cheap but highly versatile stroller. This stroller alternative is the stroller my sister ended up buying for her twins. We settled on this because it is not only extremely affordable but also very functional. It is functional in the sense that it can carry two infant car seats at the same time. This is pretty cool and unique considering the fact that many double strollers can only accommodate one seat at a time. The Joovy Twin Roo stroller frame is intended for use for the first few months. My sister settled on this stroller because she didn’t have enough money to buy the Bumbleride Indie Twin Double Stroller, which is what she really wanted. She will be going for it later this year when her twins outgrow this stroller frame. This stroller frame can accommodate all sorts of infant car seats. You just need to buy the right adapters and you will be ready to go. Of course, purchasing an adapter will be an additional spend but even if you add the cost of the adapter, this stroller alternative is still way cheaper compared to regular double strollers. Some of the infant car seats that are compatible with this stroller include UPPAbaby, Peg Perego, Cybex, Max Cosi, Graco, Chicco, and Britax infant car seats. These are but some of the compatible infant car seats. As it is evident from the list, you can pretty much buy just about any major brand car seat and it will be compatible with this stroller alternative. The best thing about this stroller alternative is that you can mount the infant car seats in three different ways. You can put your twins side by side. You can put them facing each other. Lastly, you can put them facing different directions. Whichever way you decide to put your twins in the stroller, you will have very easy access to them and they will be in your view throughout. This means you can constantly monitor what they are doing and step in quickly to make them more comfortable or to prevent an accident. Moreover, although it looks a bit difficult to maneuver, this stroller alternative is very easy to push and navigate. It is just about as wide as a standard single stroller and moves very smoothly over many terrains. It moves smoothly thanks to its medium-sized dual swivel front wheels which bring about better stability and maneuverability. However, you should note that the wheels are no inflatable and the carriage is not fitted with a suspension system. This means that this stroller alternative is not suitable for use on uneven ground. Despite being a very cheap product, this product comes with multiple features and accessories. There is a giant storage basket, a parent tray below the handlebar, four cup/ bottle holders, a phone-holding place, and so on. This stroller can be folded nicely for storage. Although it becomes pretty compact when folded, it is not that easy to store in many car trunks because it remains pretty long (48 inches). However, storing it at home should not be a problem since you can just fold it and put it on its side against the wall. This is the stroller that my sister ended up buying for her twins. We did some research on it and we were obviously both impressed with what people were saying about it. However, instead of telling you what other reviewers think, I will tell you what I have seen firsthand when helping my sister take care of her bundle of joy. This is maybe one of the best low price double strollers out there. And even though it is compatible with many different infant car seats, you will need to buy the relevant adapters to secure the seats to its frame. So you should know that you will have to spend more money to get this stroller infant-ready. However, considering that the price of this stroller alternative is very low, spending a couple of extra bucks to make it perfect is not such a bad proposition. Because it is extremely functional and cheap at the same time. Because it has a unique design that gives you maximum access to your babies. Because it is extremely safe. Its chances of tipping over are very minimal. There are two major types of twin strollers; tandem twin strollers and side-by-side twin strollers. This type of strollers is the kind in which one baby sits facing the other or behind the other. Different models have slightly different designs. For example, in some models, the front seat is situated a little lower than the back seat. This is known as the stadium seat design and it is perfect for enabling both passengers to enjoy the environment. Tandem twin strollers usually have just about the same size (width) as single baby buggies but they often have a long wheelbase. The long wheelbase makes it difficult to quickly turn this type of stroller. Another disadvantage of this design is that when the front seat is reclined maximally, it makes the leg space small for the kid in the back seat. A side-by-side double/ twin stroller is a stroller in which the passengers sit next to each other. The wheelbase for this type of double stroller is kind of the same size as that for single strollers. Therefore, it is easy to navigate and fits through passes places easily. However, I have run into problems in a local grocery store when navigating tight aisles. However, almost every other stroller, no matter how thin it is, can get stuck in the same store because it aisles are very narrow. The best advantage for this type of stroller is that it allows your little passengers to have fun together. Hopefully, this information will help make it easier for you to get a double stroller that satisfies all your needs. I am here to help. In case you still can’t pick a double stroller from my list, contact me and I will help you make the perfect choice for your situation.